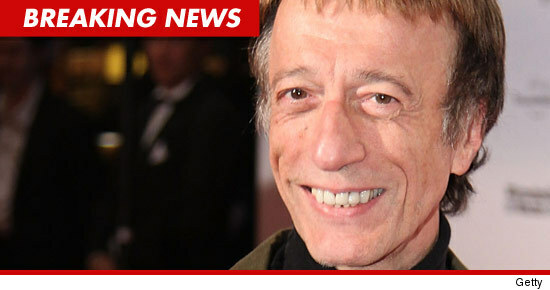 Robin Gibb, 61, is battling liver cancer and is currently receiving treatment at a Harley Street clinic. He has been receiving treatment since May of this year, and is being watched closely by his wife Dwina. According to reports, the liver cancer treatments have thus far been unsuccessful. someone close to the family said that Robin, “has been a pinnacle of strength and is showing enormous courage and dignity”. Know for their over 40 years of recording music, Brothers Gibb, otherwise know as Barry, Robin and Maurice, was one of the largest influences on the disco era. Robin appeared on Alan Titmarsh’s show recently, but was unable to attend the Remembrance Sunday edition of Songs of Praise, and thus did not meet with prime minister David Cameron. The group had 22 studio albums, two live ones, and three soundtrack releases, most notably the chart topping Saturday Night Fever. Just about a year ago, Robin underwent surgery for a blocked intestine. It is worth noting that a blocked intestine is what took the life of Maurice, his twin brother in 2003. In April, Gibb saw a physician to get treatment for abdominal pain. Last month, it came out the Robin (like Smokin Joe Frazier) did in fact have liver cancer and was treated for colon inflamation. One amazing statistic of note: only Elvis, Michael Jackson, The Beatles and Garth Brooks have sold more records than the Bee Gees. We wish Robin the best of luck on his journey!